Given their utility, mobility, manoeuvrability, and ability to operate from any terrain, unbound by the limitations of the requirements of prepared take-off and landing fields, helicopters are the least appreciated among modern war machines. Rotary wing aircraft have never inspired the awe that fighter aircraft do, perhaps because they conjure a vision of a delicate dragonfly in human psyche, against that of a predatory bird of prey that fighter aircraft do. The little-known fact, however, is that dragonflies are among the most carnivorous predators in nature. And yet, military helicopters are probably the most used war machines in the history of warfare in post-World War II (WWII) period – more than fighters or tanks. In the deadliest protracted conflicts since WWII, the Vietnam and Afghan wars, it was the helicopters that bore the brunt of combat duties. And that two of the most powerful military powers in the world, the US and Russia, are constantly upgrading their attack helicopter fleets is a testament to the criticality of attack helicopters in multiple roles in modern combat conditions. Helicopters have indeed come a long way over close to a century of development. Leonardo da Vinci may have envisioned the helicopter four centuries earlier, but it was early 20th century that two designers, both born in Russia, Igor Sikorsky and Nikolai Kamov, who gave flight to the imagination of the Italian genius. And the world’s best-known helicopters bear the names of the two men. For half a century after their initial phase of development, helicopters were seen basically as utility vehicles, useful in rescue, medevac, liaison and troop transport roles. It was not as if their potential as combat aircraft was not thought of. They were even looked at for anti-submarine warfare role. But technical advancements made it possible to equip them with lethal guns, missiles and avionics that make attack helicopters among the most versatile and deadly combat machines, particularly in counter-insurgency operations in hostile terrain. The development of helicopters as fighting machines began in the early Sixties when the US realised that terrain restrictions in Vietnam required an aerial platform option to target Vietcong guerillas, who used their understanding of the lay of the land better than the South Vietnamese troops. Gen. Maxwell Taylor realised that what was needed was a versatile helicopter that could fly over the jungles, land troops and deliver fire power at the guerillas. That is how the modern attack helicopter was born. The H-1, H-3 and Chinook helicopters did not win the war for the ARVN (Army of Republic of South Vietnam), or its American sponsors, but they led a revolution. That revolution saw the evolution of Russian Mi-24 and later Mi-35 Hind along with the American AH-64 Apache as the world leaders of attack helicopters and battlefield game changers. 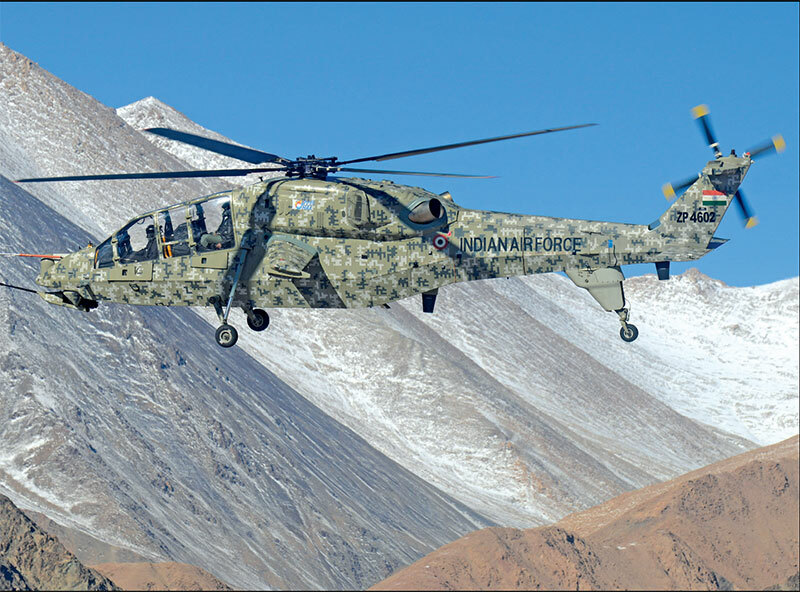 The Kargil conflict also saw the efficacy of helicopters such as Mi-8/Mi-17 performing in an assault role until they were withdrawn due to the threat from MANPADS or Man-portable air-defence systems.